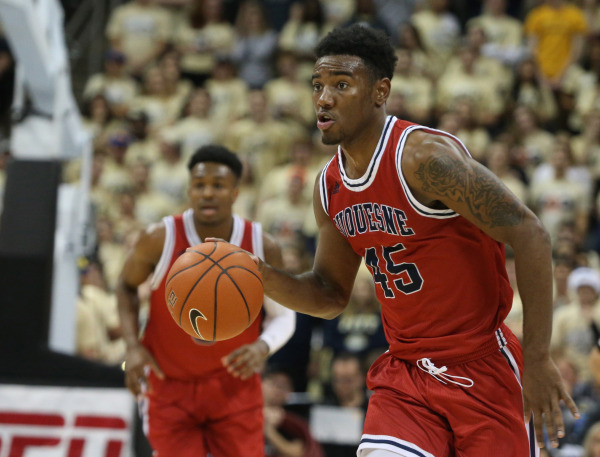 Per his Twitter page, Duquesne transfer Isiaha Mike has committed to SMU. The 6’8″, 200 lb. freshman forward averaged 11.3 points and 5.8 rebounds per game last season for the Dukes. Mike was one of multiple players or recruits to request release after the firing of Jim Ferry. Head coach Keith Dambrot was able to keep freshman Mike Lewis II, but Isiaha Mike decided to transfer away from the program. Mike was a member of this year’s Atlantic 10 Rookie Team. He’ll join a very good SMU team that could compete for the American Athletic Association title next year. He’ll sit this next season and have three years of eligibility remaining.